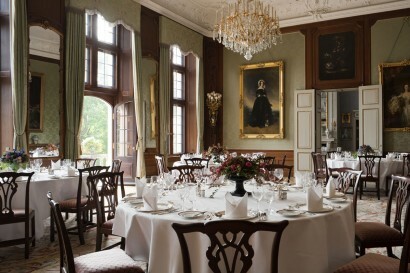 The Schlosshotel Kronberg, also a Golf resort and castle hotel, is owned by the Landgrave and Princes von Hessen and has since 1954 been a luxury hotel of the first order. Built under commission from Empress Victoria Friedrich and completed in 1893, Schloss Friedrichshof is today one of the most impressive German castles and offers its guests living history to touch and feel. 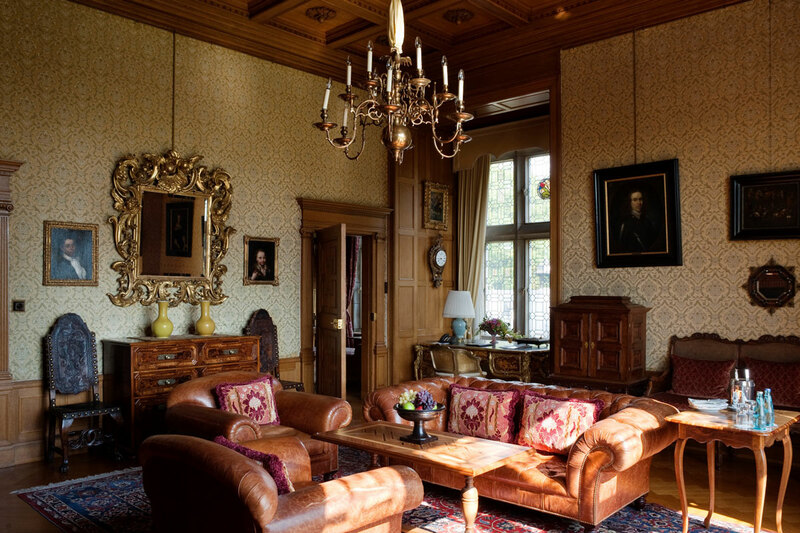 Exclusive furnishings and an impressive collection of antiques and paintings from the private estate of the mother of the last Kaiser convey the authentic ambience of a castle from imperial times. 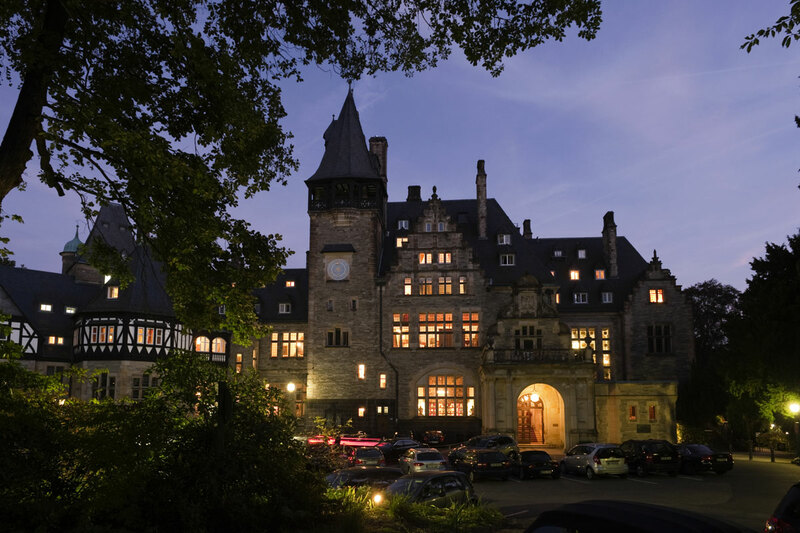 To make your stay even more memorable and comfortable, we have considerably renewed Schlosshotel Kronberg over the last 2 years. For creation and design, the well-known British Interior designer Nina Campbell were appointed, who combines vintage furniture with own designs realising a perfect room and space concept. 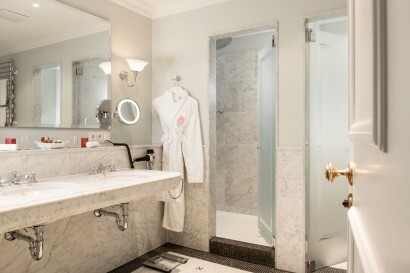 The newly-created rooms, all equipped with air conditions, decorated in warm colors and with delicate fabrics and floors and immersed in special lighting welcome the guests in a very cordial way. 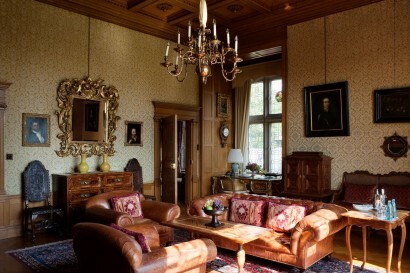 Enjoy the unique historic ambience and indulge in the luxurious setting of Schlosshotel Kronberg. 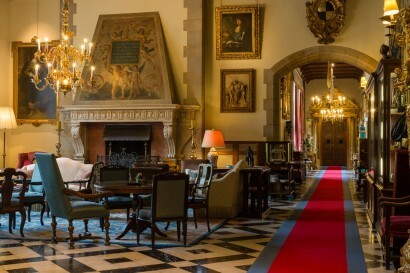 Our particularly personal service spoils you after an eventful day either in the lobby in front of the fireplace or on the castle terrace on mild summer evenings. 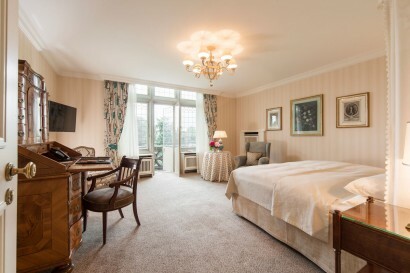 Due to the perfect connection to Frankfurt, the fair and the international airport, our hotel is also a very convenient solution for business travellers who benefit from free amenities such as wireless Internet, minibar/bar fridge, shoe polish service, fresh fruit and mineral water in the room and daily newspaper. Our last renewal was last year and we are currently renewing our Jimmy`s Bar. The Schlosshotel Kronberg lays in the middle of the romantic Schlosspark in the climatic health resort Kronberg in the heart of the Taunus, a popular region for tourists. Frankfurt, Wiesbaden and Mainz are just a few minutes drive away. The Rhine-Main region provides a fascinating cultural offering. Frankfurt Airport is 22 kilometres away and travel time to the Frankfurt Exhibition Centre (Messe) by S-Bahn only takes 18 minutes without changing. Kronberg im Taunus has in many places preserved for centuries its historical character. Kronberg Fortress as the core of the settlement, the old town’s picturesque lanes with their half-timbered houses harking back to mediaeval times, noble villas and summer residences from when the 19th century came to an end, surrounded by park-like gardens characterise to this day the atmosphere in what is at the same time a modern town. The offer of Kronberg’s restaurants is varied and colourful. It probably covers every individual taste requirement. 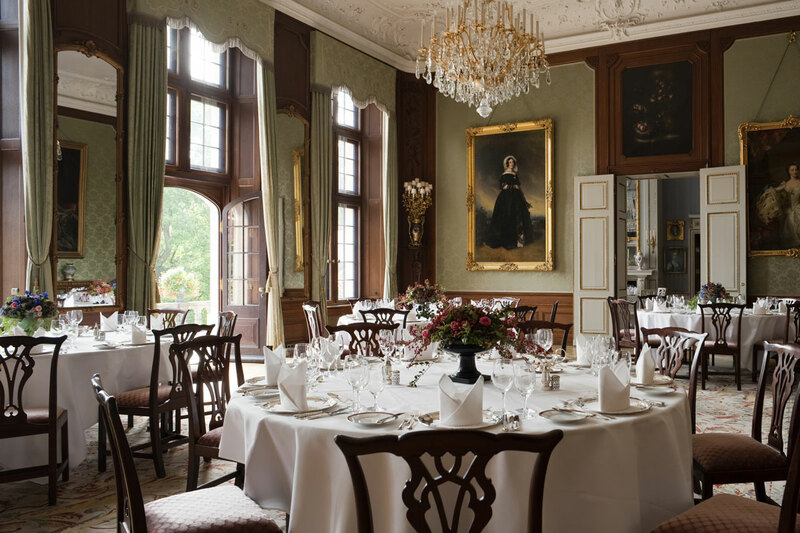 In Kronberg you can find affordable good cuisine from all manner of countries as well as award-winning restaurants. Kronberg’s leisure offer is also varied and should offer something for everyone. You can set out from here to hike in the Taunus, cycle, take part in sport, go to the movies, swim (in the summer), play minigolf or simply walk through the Victoria Park. The biggest and best-known leisure facility is the Opel Zoo, visited by up to 700,000 people a year. The Golf Course was build after the 2nd World War when the Americans and President Eisenhauer (Admiral Eisenhauer at that time) were living at Schloss Frierichshof and made the caste the Officer Club. Children are welcome and can enjoy the 58h Park Area and visit the stables as well as the Rose flower Gardens. The castle restaurant at the Schlosshotel offers haute cuisine for connoisseurs: our gourmet restaurant belongs to the top gastronomic establishments in the Taunus and appears in all of the restaurant guides for the region under gourmet restaurant tips for connoisseurs. Selected wines of an excellent quality complement the creations of the chef whose cooking is enhanced with high-class regional ingredients. Jimmy’s Bar, the American bar at the Schlosshotel Kronberg, is the place to be seen, to relax and to have conversation – and for night owls. In addition to the cocktail classics and own creations, guests will find a choice of drinks with more than 50 sorts of whisky. 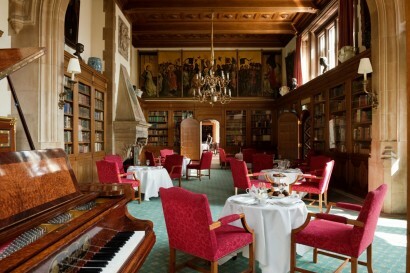 Live music is played, with the pianist giving his best from Tuesday until Saturday every week during the months mid of September until mid of May, come and enjoy. 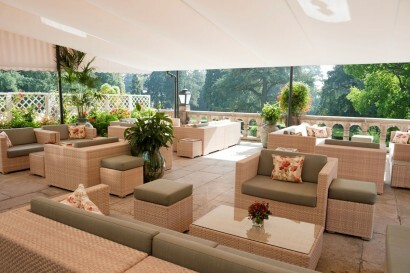 In the hot months, we serve summer drinks at a delightful spot on the castle terrace and light tapas in the Victoria Lounge. Take a seat under the shady awning in the finely upholstered lounge furniture and let the sweet things in life flow over you. The Victoria Lounge is only during summer time open. Enjoy a delicious business dinner with your customers or a romantic candlelight dinner in our luxurious fine-dining-room. Surrounded by exclusive material, selected antiques and pictures from the time of Empress Victoria, experience the privilege of complete privacy, away from daily hectic and turbulence. Enjoy the unique atmosphere of this special room. Exquisite culinary delights and wines from all over the world are served you by your own butler, who is pleased to fulfil your wishes. 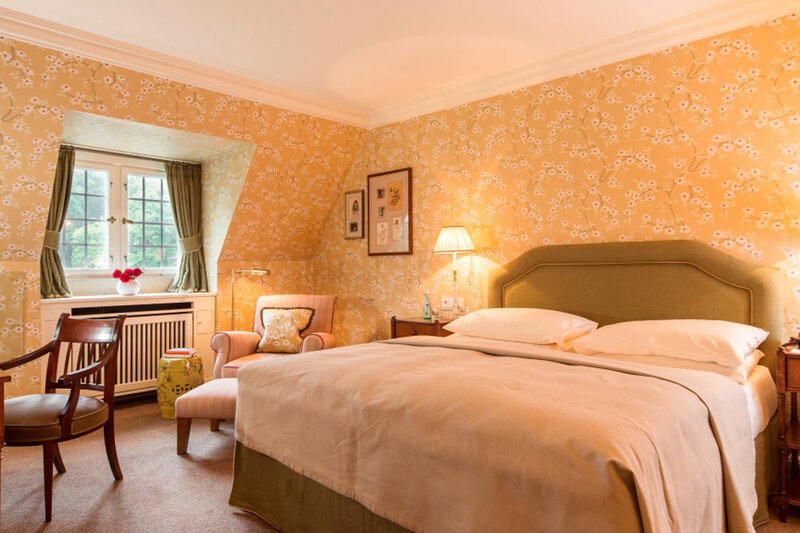 A booking in our “Fine-Dining-Room” is possible for two to six people on request and availability. 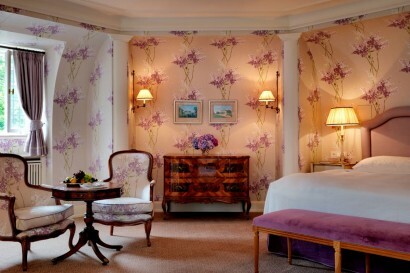 As a matter, of course, you can dine à la carte in this room as well. 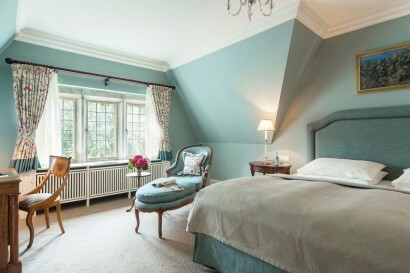 Beauty and wellness in a unique atmosphere – the beautiful cottage is a haven of peace and relaxation. We’re convinced that only natural ingredients are good for your body and soul. We pamper women and men in equal measure with massages and cosmetic treatments on a completely biological basis in a stylish environment. Each guest receives our unbroken attention. 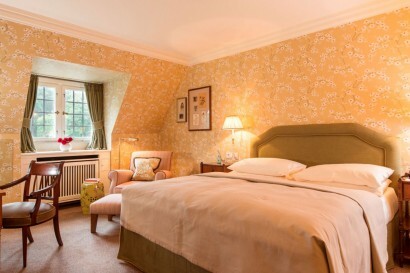 And we guarantee relaxation and renewed energy at the highest level. • Complimentary Swimming Pool and Fitness centre are located off-site the property and within 5 minutes driving distance. Complimentary shuttle via a 7 BMW will be arranged via the Hotel. 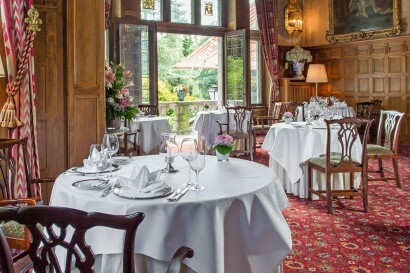 Golfing at the Schlosshotel Kronberg stands for a special challenge to all ambitious golfers. This traditional 18-hole golf course is one of the best greens in the Taunus and close to Frankfurt. The golf course has a handicap of 36 and is open from April to October – enjoy your golf weekend at the Castle hotel, Kronberg. In the magnificent Schlosspark, maintained in the style of a traditional English garden, is one of Germany’s most beautiful 18-hole golf courses. Laid out against the historical backdrop of the Schlosshotel, the course has since 1954 been an exceptional attraction amid the giant trees and blooming plants. Friends of the sport, get real pleasure from the narrow fairways that in part look out on a view of the Frankfurt skyline and offer the challenge of wavy greens and water hazards.